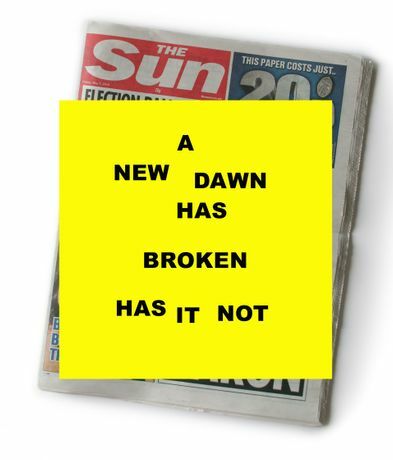 The title of the project is the first words spoken by Tony Blair after Labour's 1997 election win, albeit with the punctuation removed, and is timed to coincide with the UK 2010 General Election. Rachel Tweddell has taken a cross section of British newspapers from each day of the week leading up to the election. The newspapers have been remade so that they become progressively smaller as they move further into the past; the Monday editions are small enough to fit into the palm of a hand. The show opens on the day the election results are announced and at this point the piece moves from exhibition to event, as the newspapers from this day are presented at actual size and only come into existence on the day of the opening.